The first LEGO Overwatch product is not Tracer. 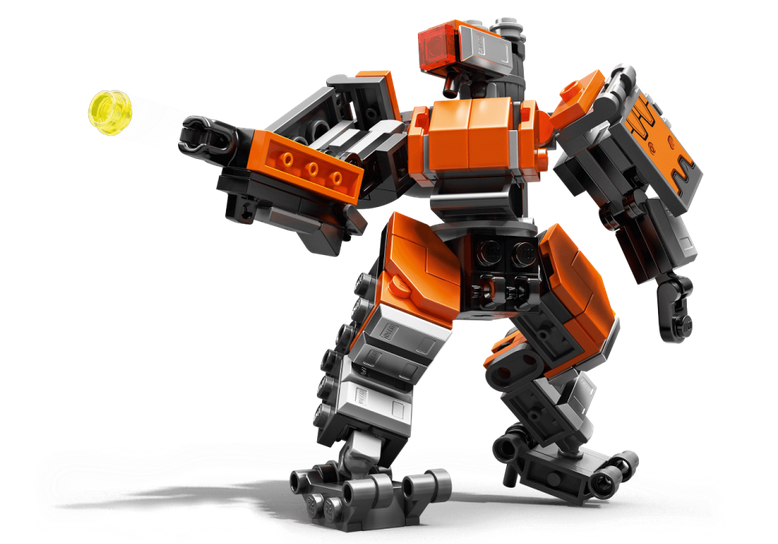 Blizzard has finally revealed its first LEGO Overwatch set, Omnic Bastion. The company announced on Twitter this morning that the 182-piece set is now available at the Blizzard Gear store for $25. Blizzard says the Bastion toy “can swivel at the waist, move its arms and features a small sub machine gun in the right arm.” Even Bastion’s bird partner Ganymede is buildable with some pieces of the set. The Omnic Bastion LEGO figure is 4 inches tall, which is almost three times bigger than a standard LEGO toy. It does not look like the toy can switch to Tank mode like Bastion does in-game, though. This is the first product officially on sale as part of the partnership that Blizzard and LEGO announced in May. Players expected a hint at how the LEGO figurines would look when Blizzard announced a fan event in South Korea in August that would feature LEGO, but to the disappointment of fans it didn’t reveal anything. Blizzard made fans wait until early October for a short teaser featuring Overwatch game director Jeff Kaplan and a standard-size lego figure of Tracer. Some toy bananas hinted at Winston, too. But nobody really expected Bastion in its Ominic Crisis skin as the first product, since Blizzard gave no hints about it. Blizzard said on the product page that Bastion is “only available in limited quantities,” but has not specified how many there are. It also has not revealed if LEGO Overwatch Omnic Bastion will be on sale at third-party physical or online retail stores.